New to wine? Tasting rooms are a great place to learn. It’s a welcoming experience, it’s fun and it tastes good, too. Here are some tips to make your experience more enjoyable. - Please do not drink and drive. Find a designated driver. Consider everyone’s safety and consider the fact that local police, too, know wine is being served. - Dress in layers. Wineries are often cool to protect the wine. Wear comfortable, low heeled shoes that will be secure on concrete or uneven floors or on gravel driveways. - You’re going to discover some great wines you’ll want to buy. Be sure to place an empty wine box in your car so that you can keep individual purchases secure. Don't count on the wineries having an extra box around to give you. - Give yourself plenty of time. Pace yourself. There’s no set number of wineries you must visit in a day. 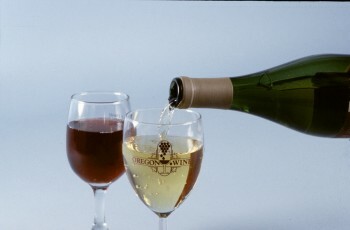 If you are looking for quantity, find a tasting location that pours for several wineries. - If you are in a big group, please be sensitive and aware of the other individuals around you. No one wants to spoil your fun but not everyone wants to be a part of YOUR fun either. Some serious wine tasters want to be able to focus on the nuance of the wine, but find a lot of loud conversation to prevent them from being able to concentrate. Just remember to be your considerate self. - Take some notes. Write down the winery name, date, what you thought of the wines and any other observations. These notes will come in handy later when you review what you bought during the day. - Leave your dog at home. Many wineries are protected by their own dogs and can be quite territorial. It sometimes creates problems. - It’s OK to spit or pour out your wine. In fact, it’s encouraged. That’s why there are spittoons nearby and buckets on the counter. You don’t have to drink everything that’s poured. - Ask questions. Lots of them. Tasting room staffs are ready, willing and able to help you. - Check tasting room hours for each winery you want to visit and call ahead, particularly if you’re bringing a large group. Some wineries operate by appointment only. - Some wineries charge a tasting fee. If it’s free, consider buying a bottle. - Skip the perfume, cologne or any strong fragrances. Other tasters may be sensitive to smells and it could kill their experience. - Don’t bring along coffee. You just won’t get the full flavor of the wine. - Don’t smoke. First, it’s bad for you. It also confuses your tastebuds when you want to enjoy the wine.